Google, Yahoo! and Microsoft announced a joint agreement today at the SMX West conference in Santa Clara to support a new protocol which is intended to assist webmasters in reducing duplicate content issues on websites. 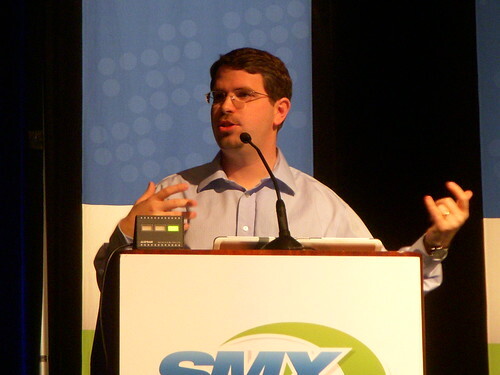 All three are issuing blog postings about this, and Matt Cutts presented the new protocol in a session just a few minutes ago at SMX. This is a really exciting addition to the SEO’s toolbox! Duplicate content often occurs when webmasters accidentally create alternate URLs for the same content across their sites. The larger the site, the more likely it is to have serious duplication issues. This was one of the most difficult issues I used to work upon when I was in charge of SEO for Superpages.com — nearly any site which uses dynamic URLs with querystrings to specify how content is delivered end up with some level of duplication. It’s a hint to the search engines. Not a directive/mandate/requirement. Far better to avoid dupes and normalize URLs in the first place. If you’re a power user, exhaust alternatives first. Does not work across domains. Pages do not have to be identical. Can one use relative / absolute urls? Yes, but we suggest absolute! Can you follow a chain of canonicals? We may, but don’t count on it. Or create an infinite loop? Or point to an uncrawled URL? Search engines will do the best they can. This whole protocol is really interesting and a great tool for webmasters to use. However, the caveats and strong suggestion that webmasters try to fix duplication content issues before resorting to this canonical tag would make me prefer to try to solve such problems instead of using this. It’s good to have the option, though! This entry was posted in Industry Happenings, SEO and tagged Canonical Tag, Canonicalization, Duplicate Content, Duplication, SEO by Chris Silver Smith. Bookmark the permalink. Interesting idea, Chris! Given the trouble that the search engines have had in telling the difference between variant versions of a given page, it is good that the site’s publisher will now be able to provide some hints. Instead of the Absolute Link proposal that Matt Cutts suggested, I would recommend using domain relative links in conjunction with a BASE HREF tag. The domain relative link structure is much better for testing pages on a developement or staging server and makes content migration easier. Adding a BASE HREF tag should allow the domain relative links to be consistently resolved to the correct domain.